Abby and Julie playing with puppies. 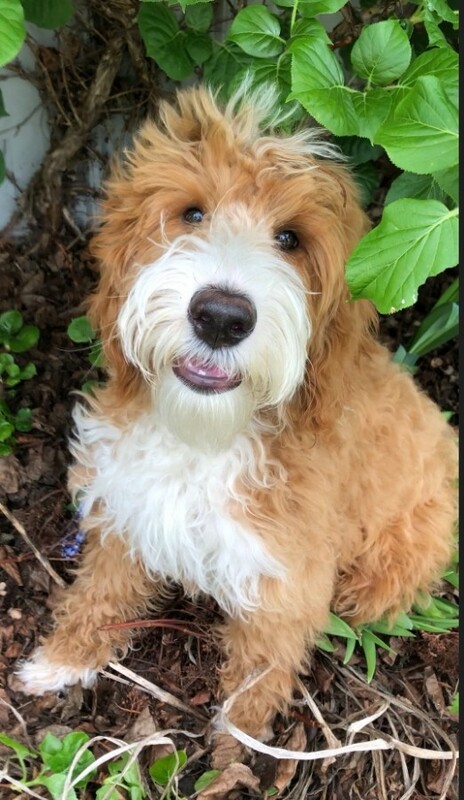 Harley, passed puppy from Charlie. Puppy love! Ready April, 19th. Easter puppies. Beautiful dark red and tuxedo's! 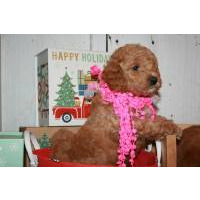 Business: AKA's Doodles and Poodles, LLC. Brown and white, cream and apricot colors. Fun, love having a variety of colors. 25 to 35 Lbs. This is my favorite size. This size (mini/medium) can still do ALL doggy sports, agility, fly-ball, swim, take long walks and even hunt! Still fit in the house, couch, car, boat, etc... And not have big poops in the yard. Mom and Dad, are both here to meet. Have passed health testing with flying colors! 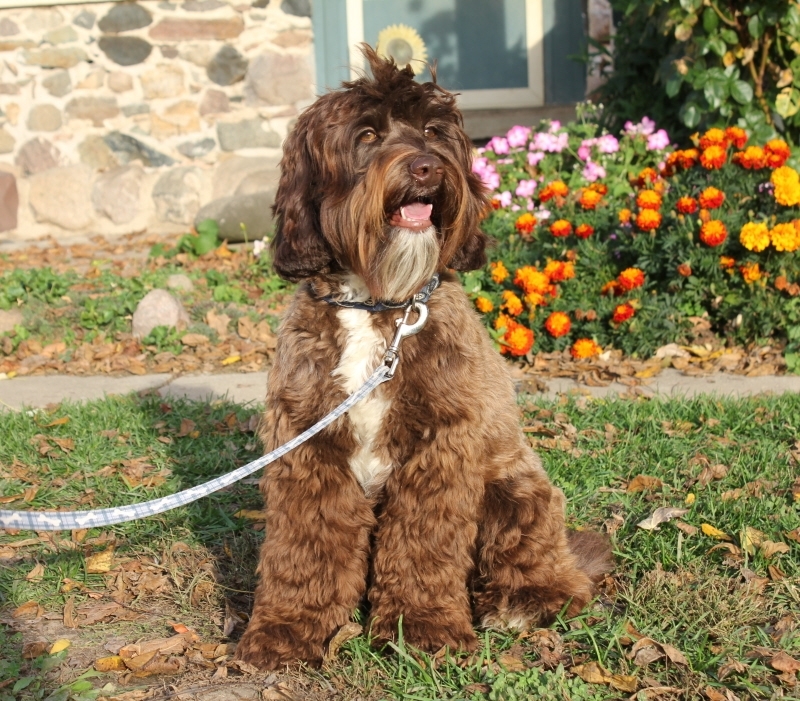 Our Starter puppy program is a perfect opportunity for busy families that want a puppy but don't have the time to give the puppy the right start. 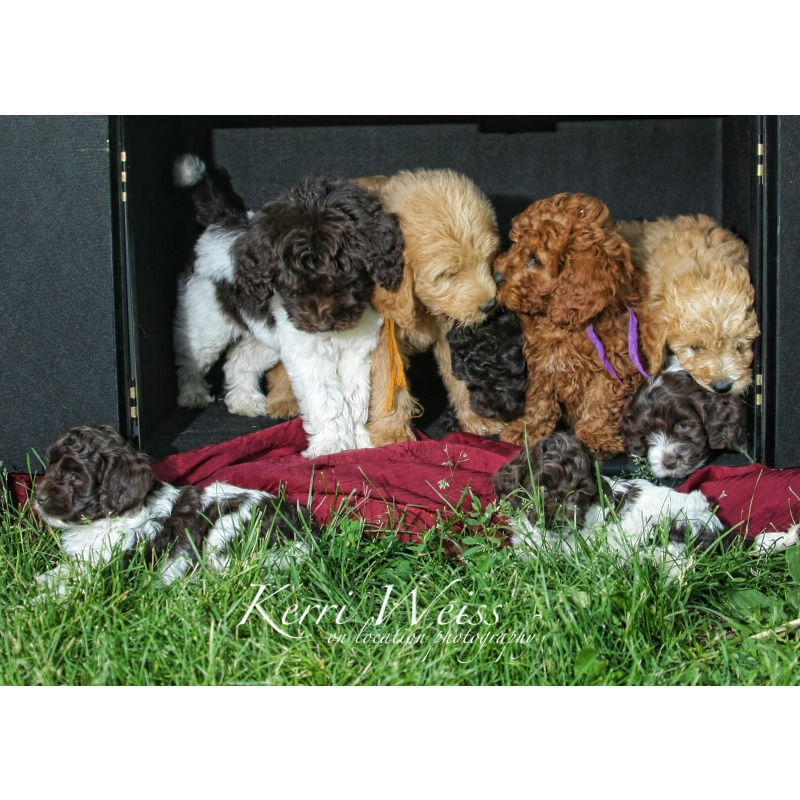 Puppies will be crate trained, house training (age appropriate), knows sit, down, walk nicely on a leash and go for car rides, etc.. Obedience training is one of the most important aspects of raising a dog, and we give the perfect foundation. 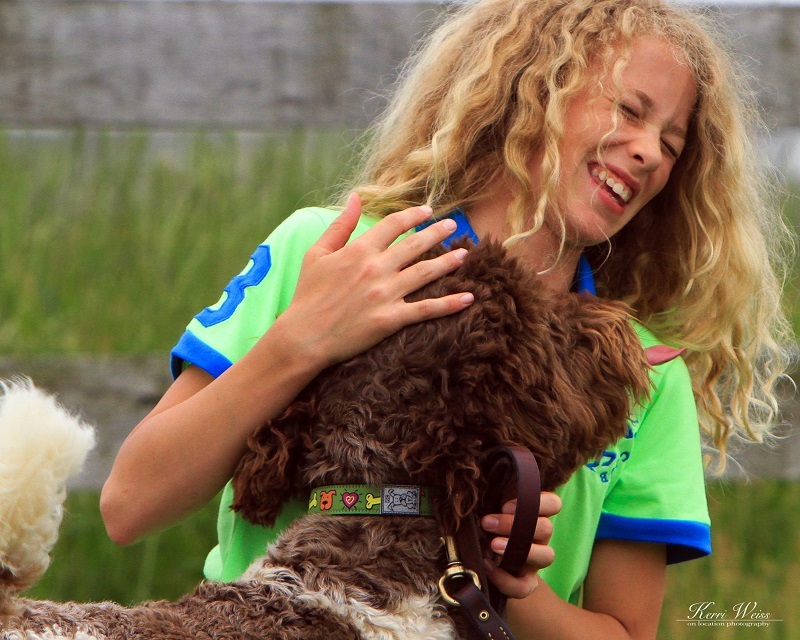 Our Labradoodles are raised in our home with our children and are well socialized. The puppies will be up to date with their shots and deworming. We offer a 2-year health guarantee! 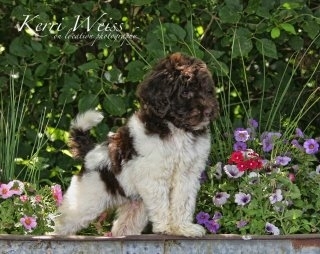 Mom and dad are AKC and ALAA registered, and have OFA for Hips & Elbows and Eye CERF. 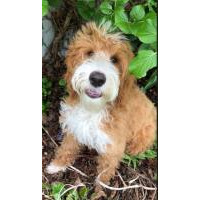 Labradoodles are known for exceptional intelligence and trainability, their low to non-shedding coats (good choice for allergy sufferers!) and excel as service/therapy dogs and in canine sports. Great for families with children. 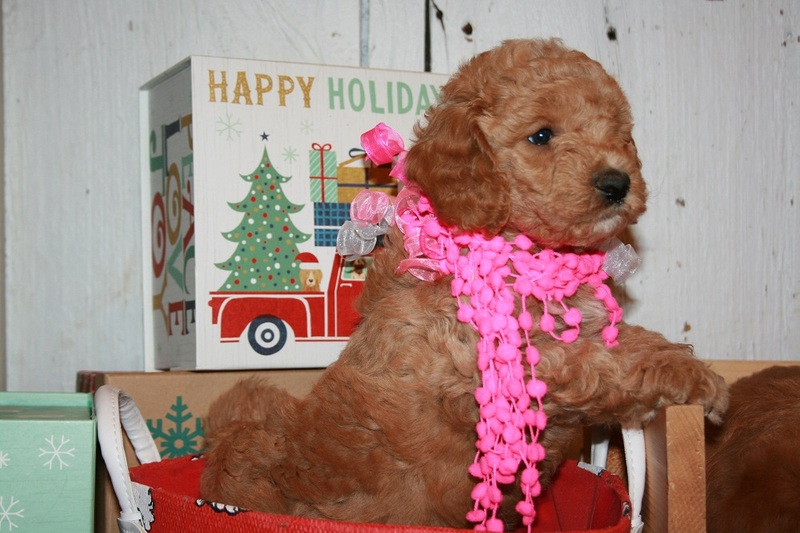 Inquire about Labradoodle stud service.